Here you are presented with all your options! You can choose as many as you like at no extra cost. Enter your phone number in the box provided. 2. Scroll down and check the box next to "I want to be notified with an automated phone call:"
3. This will open an area to set up your Phone notification preferences. Here you can decide the specifics of how you receive your automated call and what the message says. 4. When you are finished, click the blue Save This Information button. 2. Scroll down and check the box next to "I want to be notified with an SMS text message..." and then click the blue Save This Information button. Note: If you want to add additional phone numbers for SMS notifications, scroll down to Additional Notification Recipients. Here you can enter the phone number, name, and order types you would like the additional number to be notified about. Be sure to click Save Additional Recipients when you are done! Email is often unreliable. Problems can be caused by spam filters, busy or unavailable remote mail servers, and other things that are out of our control. We strongly recommend that you do not rely solely on email to receive orders and use one of our alternate notification methods in addition to receiving orders by email. Click the box next to "I want to receive an email with the order ticket attached:" and enter the email you want to use in the box provided. 2. Scroll down to the bottom and click the blue Save This Information button. Note: If you want to add additional email addresses, scroll down to Additional Notification Recipients. Here you can enter the email, name, and order types you would like the additional recipient to be notified about. Check the box next to "I want to receive a fax of the order ticket:" and enter your Fax Number in the box provided. Google Cloud Printing allows us to automatically send orders directly to your Google Cloud Print enabled printer or to any standard printer via Google Chrome. Click here to add a printer to your Google Cloud Print account. Check the box next to "I want to have the order auto-print using Google Cloud Print:" and then click the Setup/Manage Google Cloud Print Options link. 2. Click the Connect to Google button. 3. Follow the onscreen instructions and allow access to Manage your printers. 4. 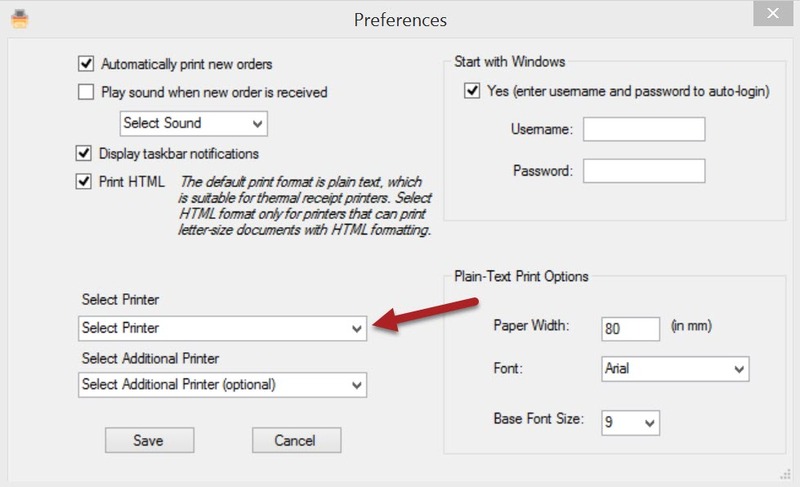 Select the printer you would like to use and click the Add Printer for Receiving Orders button. Note: If no printers are listed CLICK HERE to set up a Google Cloud Printer. 5. 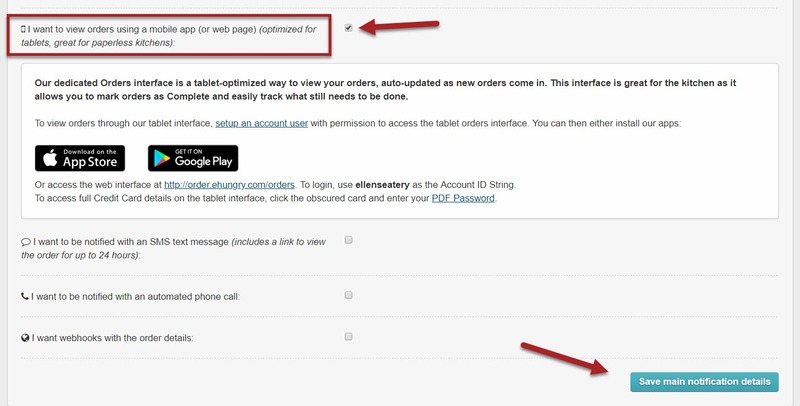 Return to the Orders & Notifications tab and click the box next to "I want to have the order auto-print using Google Cloud Print:". It should now say "Google Cloud Print is PROPERLY SETUP." Click the Save This Information button. 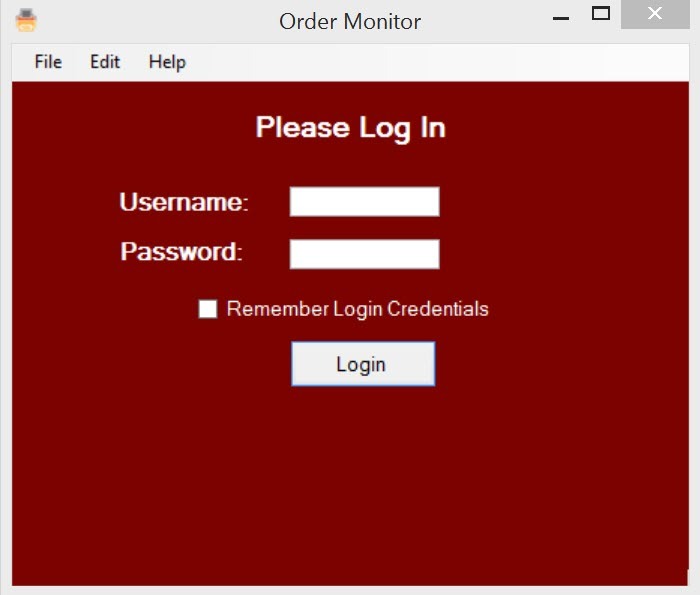 The Order Monitor is a software application that you install on a computer somewhere on your local network. It runs on a Windows PC/Laptop and it "checks in" with our servers periodically to receive new orders. You must have a broadband Internet connection available, and a printer. Most inkjet, laser, or thermal printers work. Check the box next to "I want to have the order auto-print using the order monitor software:"
2. Scroll down to the bottom and click the Save This Information button. 3. Click the blue Printer Software Instructions and Download text. 4. Click on the DOWNLOAD ORDER MONITOR SOFTWARE link in the yellow box. Note: If you have an older computer you may want to go with the previous version in the grey box. 5. Install the "om_401" file. 6. 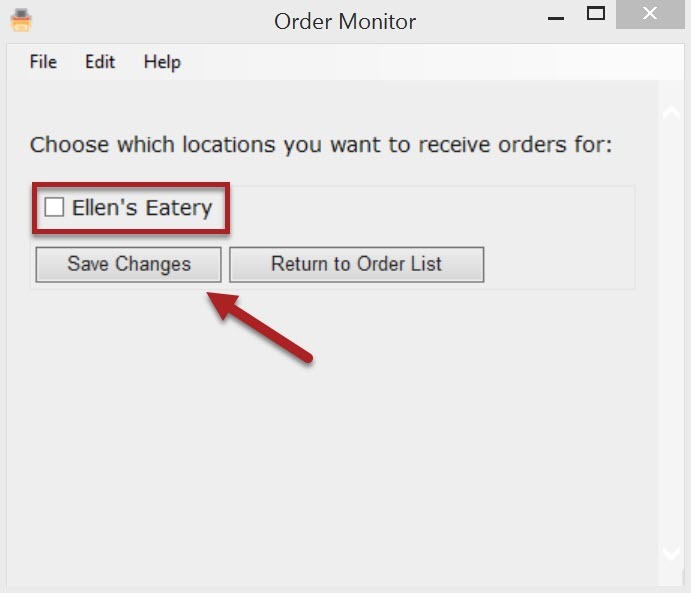 The Order Monitor Setup Wizard will guide you though the instillation process. 7. Launch and login to the Order Monitor. 8. Check the box next to your desired location and click Save Changes. 9. Under Edit, click on Preferences. 10. Here you can select your desired printer from the drop down. You can also alter other setup options. *If you plan to print to a Thermal/Receipt Printer, be sure to UNCHECK the "Print HTML" box. Be sure to click Save when you are done! Scroll down and check the box next to "I want to view orders through a dedicated order interface..." and click the Save This Information button. 4. You can now choose to download the eHungry Orders IOS app, Android app (through Google Play only), or use the web interface with your tablet Internet Browser (URL: https://order.ehungry.com/orders). Sign in using your Account ID String (see #2 screenshot above), and the Username and password of the Additional user (from #3a & 3b above) with the tablet orders interface permission enabled. Webhooks allow you to build or set up integrations which are notified when your account receives an order. When an order is received, we'll send a HTTP POST payload to the webhook's configured URL. Scroll down and click the box next to "I want to receive a webhook containing the order details:" and enter your Webhook URL in the box provided then click the Save This Information button.